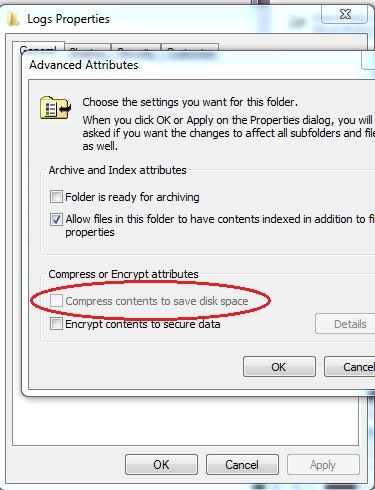 Recently when working with a very old, decrepit server that was running out of disk space I went to compress a folder of logs in NTFS and the compress box was greyed out and I was unable to compress it. 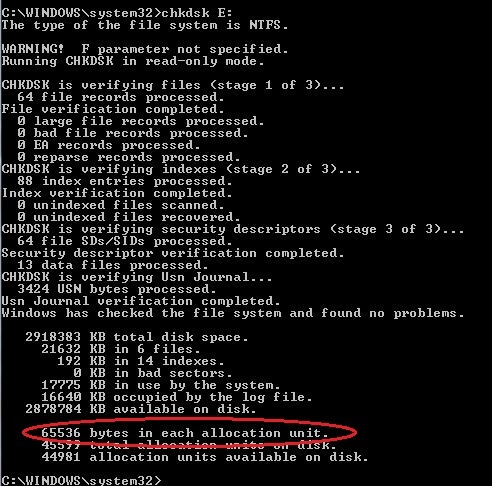 This is because in NTFS the compression attribute isn’t supported for volumes with cluster sizes larger than 4k — this happened to be sized at 64k thus the inability. Hope I’ve made your day a little bit easier! This entry was posted in Windows, Windows Server and tagged cluster size, compress, Compress Box, Compression, Greyed Out Compress, NTFS.